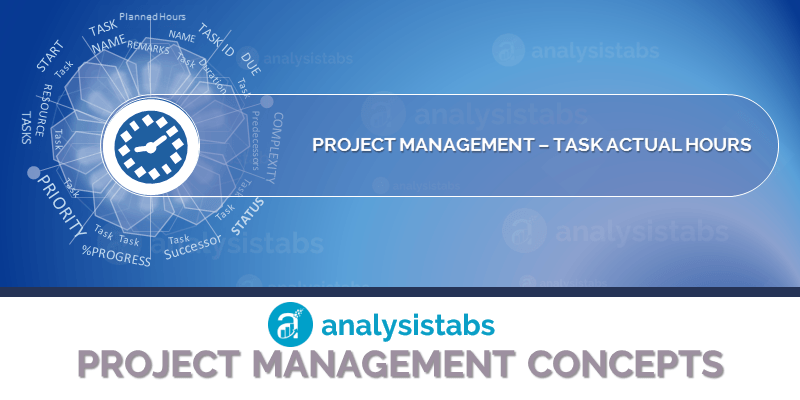 Actual Hours in Project Plan Template - ANALYSISTABS - Innovating Awesome Tools for Data Analysis! Actual Hours of a task are number of man-hours spent on a task to complete. These are actual man-hours and spent on a task to complete. This will be captured by assigned person once the task is completed. Actual Hours field of a task is a required field and it is generally a numeric data type. A Textbox control is generally used to enter the Actual Hours of a task. These are the actual spent hours on a task. Actual Hours can be less/more or same as Estimated Hours of a task. Actual Hours are used to calculate the cost of the task. This helps mangers to prepare the Project Invoice by Task or Resource.